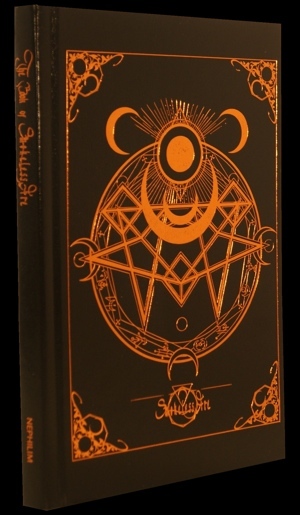 The Book of Smokeless Fire by S Ben Qayin, from Nephilim Press, may be of interest, can be ordered directly or via Weiser Antiquarian. “‘The work that is being presented in The Book of Smokeless Fire is based on a very little known and overlooked Solomonic text simply known as Miscelaneo de Salomon, which amazingly mirrors that of Lovecraft’s, Necronomicon both in content and history. It is an ancient and forbidden Arabian manuscript, that seems was later evolved into the Greek ‘Goetia’ and gives the earliest known account of King Solomon and his binding of the seventy-two sinister Djinn he sealed away in the infamous brass container.